Tokyo much? Play Ball! – Travel Much? 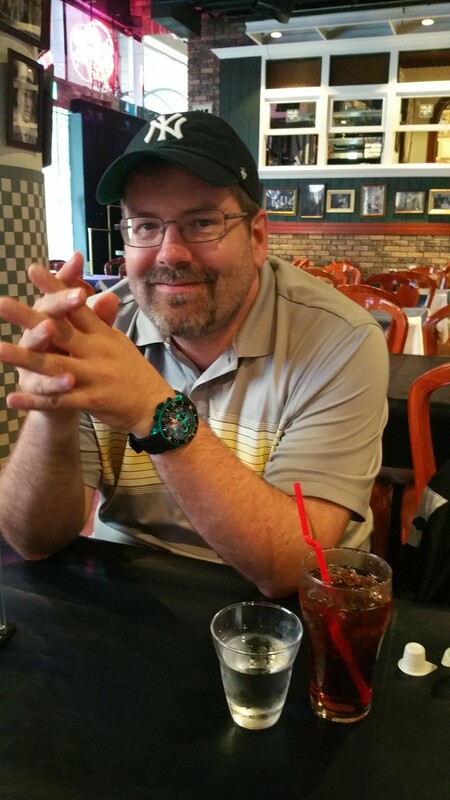 Enjoying dinner while waiting for the game to start. 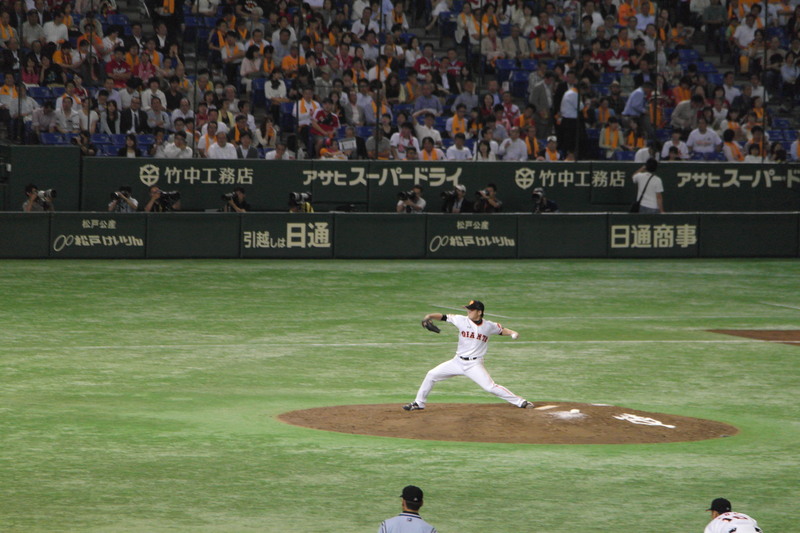 Do you know what the most popular sport in Japan is? 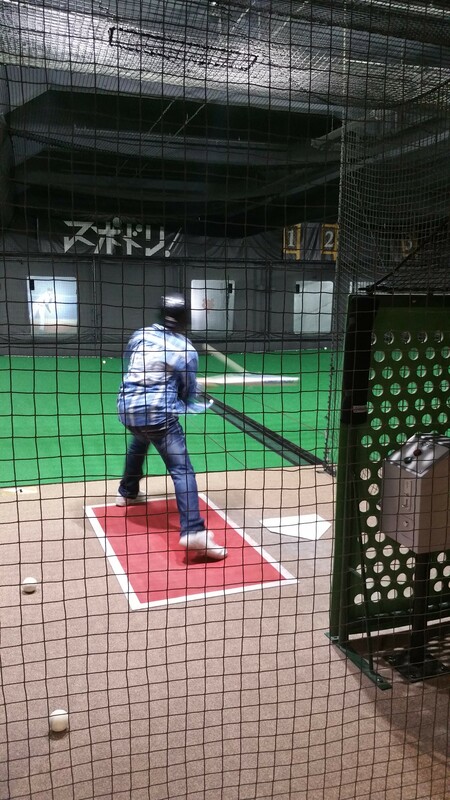 Nope… It is baseball (yakyū)! 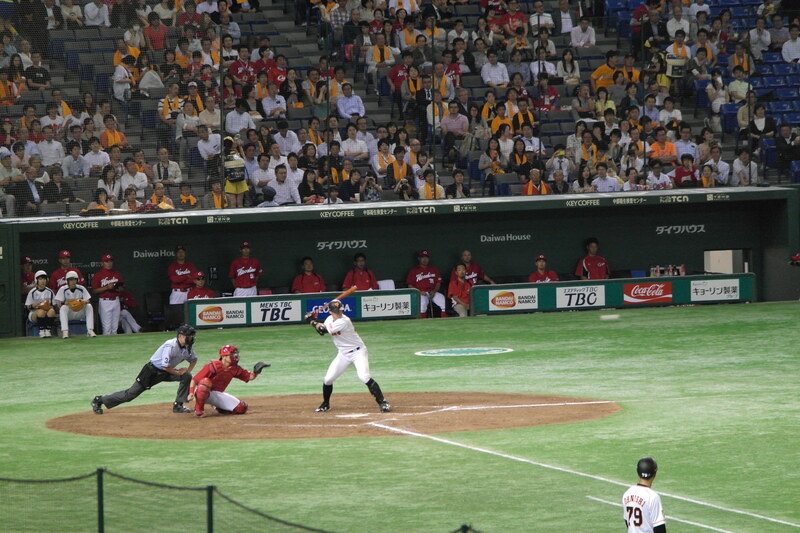 Baseball was introduced to Japan in 1872 by Horace Wilson, an American English teacher at Kaisei School in Tokyo. Six years later, Japans first baseball team was founded. Hiroshi Hiraoka, who learned the game while studying engineering in the United States, introduced the game to his colleagues at the railway, and they founded the Shimbashi Athletic Club, in 1878. Shimbashi Athletic Club dominated in all games against other teams that were formed. 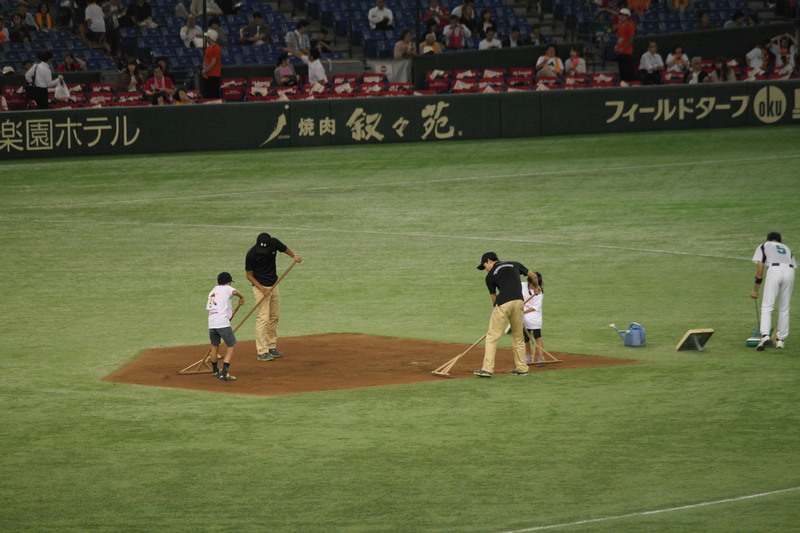 Still, it was not until a team was formed by Tokyo University that the sport became a part of Japanese culture. 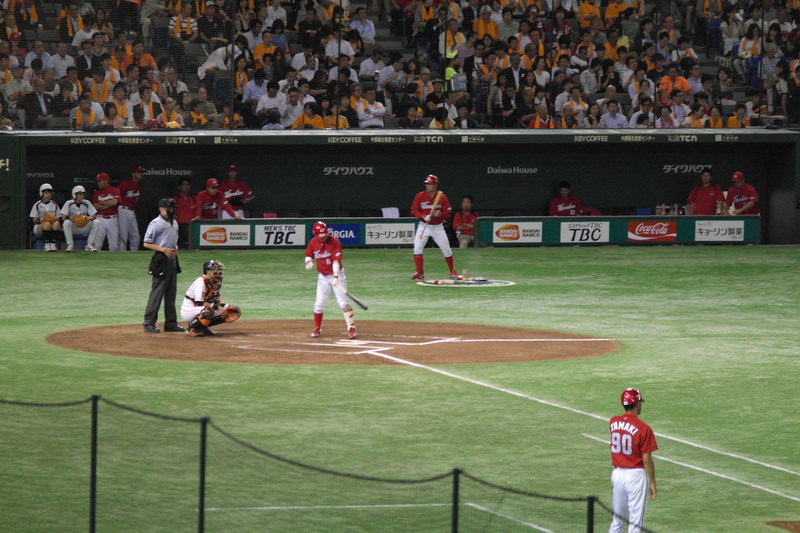 In 1896, the University team won against the American team Yokohama Country and Athletic Club – which in fact were the first documented international baseball game to take place in Asia. After this victory, baseball was adopted by several other universities, and the sport spread rapidly throughout the country. 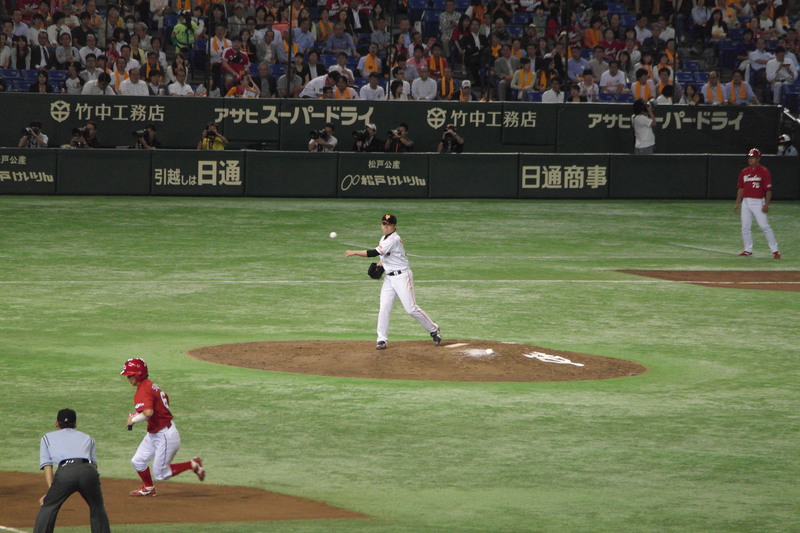 Pro baseball was started in 1920, see Nippon Professional Baseball. Sir Nerdalot dabbled in the sport when he was a young lad, at the Stavanger American School, and is thus interested in the game. The Karate Kid and I will follow along to anything fun. 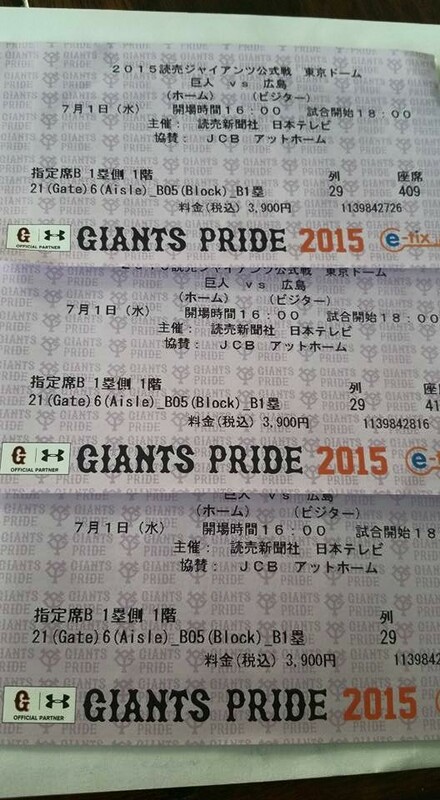 You can book tickets here: Tokyo Dome. 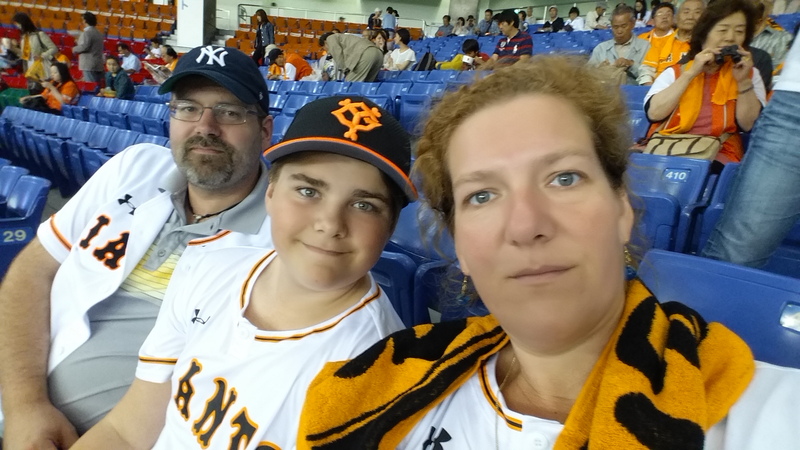 We spent the whole day around the Tokyo Dome, as there are lots to do there (amusement park, spa, shopping, restaurants, bowling, and arcade). 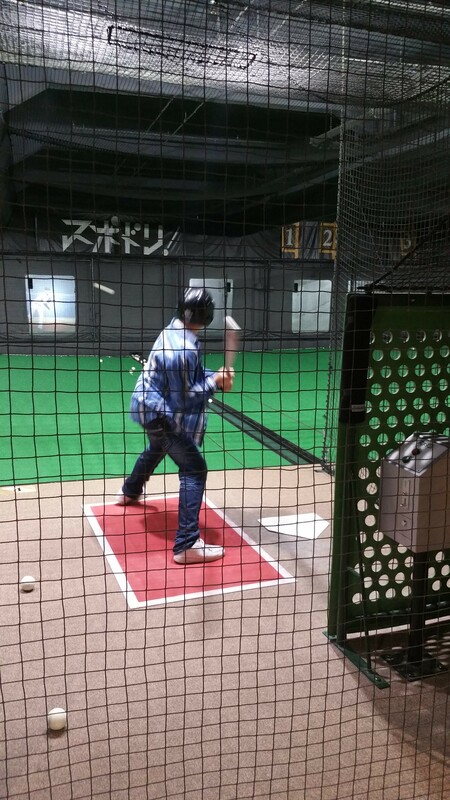 There is also a batting range, and Old Mamasan got to swing the ol’ bat for the first time since elementary school. Oh, it was so much fun! To whack those balls as hard as you possibly can is pure therapy! 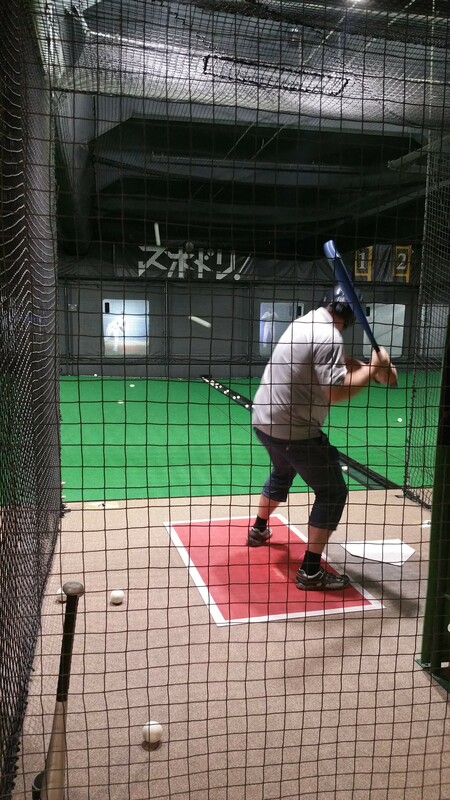 Make sure you visit the The Baseball Hall of Fame and Museum. It is not allowed to take pictures at the museum, so you just have to take my word for it; it was really good, and I highly recommend it! 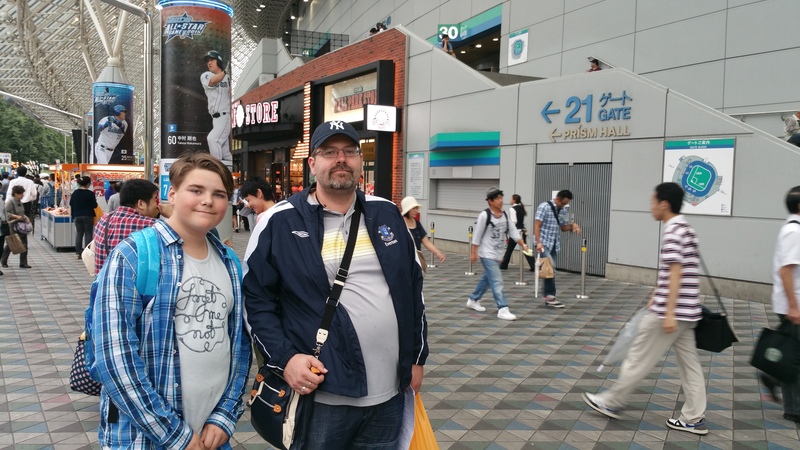 New York Yankees cap and Everton jacket to see Japanese baseball? This can’t be right! If you need any supporter-stuff, there are lots to chose from! 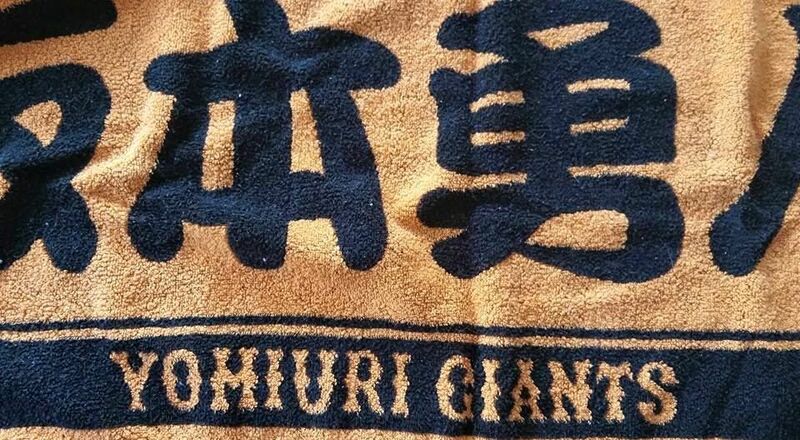 Yomiuri Giants fans wave towels whenever something exciting happens in the game. 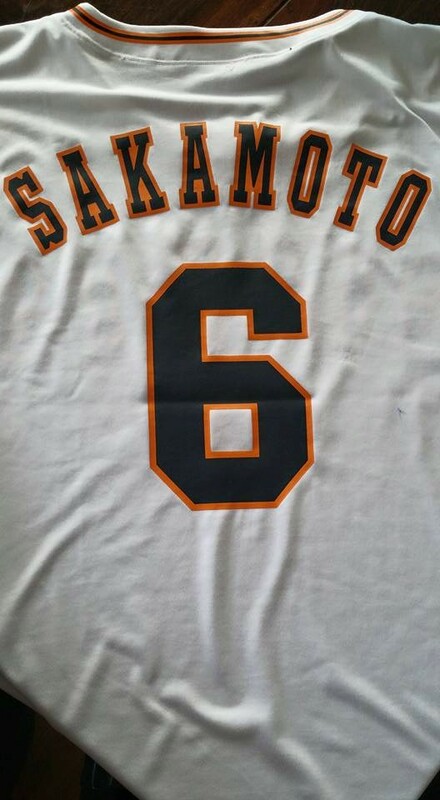 Sakamoto, number 6, team Captain. 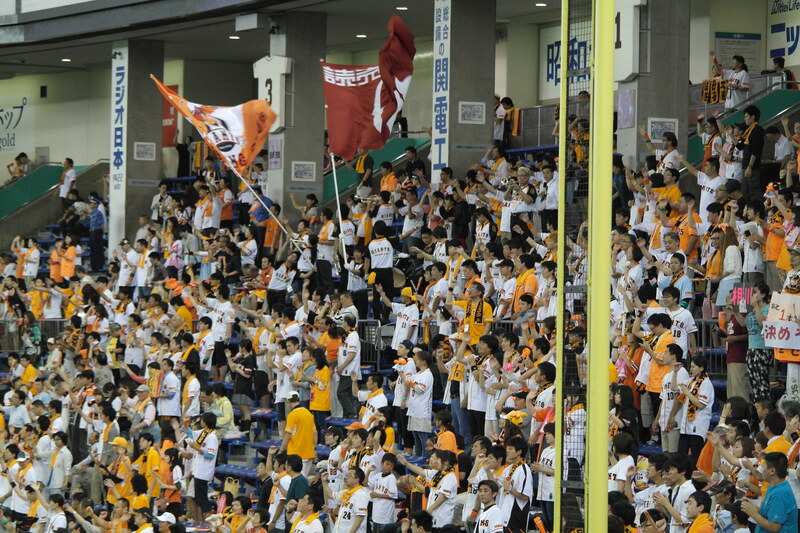 The Home Team, the Yomiuri Giants are a Tokyo-team, and play their home games at the Tokyo Dome (opened 1988). The team is owned by Yomiuri Group, a Japanese media conglomerate. The Giants are the oldest team among the current pro teams. 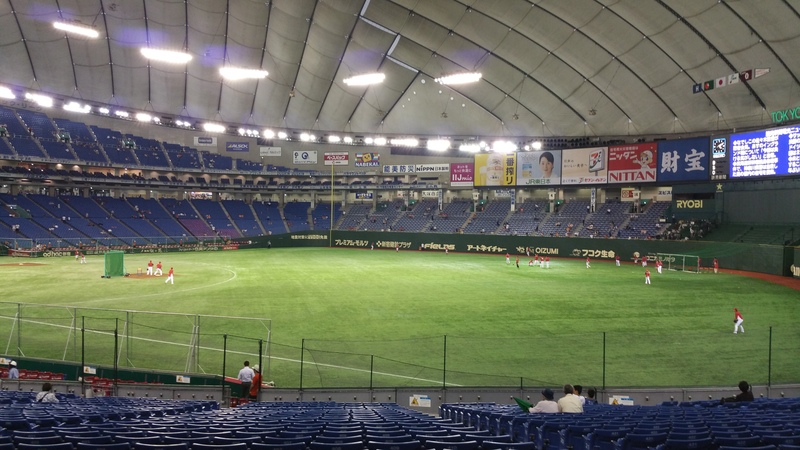 The Visitors, Hiroshima Toyo Carp, was established as a part of the rebuild of Hiroshima after the atomic bomb. The team is owned by the descendants of the founder of Mazda. Inside the Dome there are lots of supporter shops, cafes and fast food places with all kinds of weird foods, crepes with lots of different fillings, snacks and anything you might want for. We had to resort to pointing and holding up fingers to indicate how many of whatever we pointed at to get fed. You can imagine the Kid’s disappointment when what he thought he ordered as meatballs actually were fish balls (what? Fish don’t have balls!?) 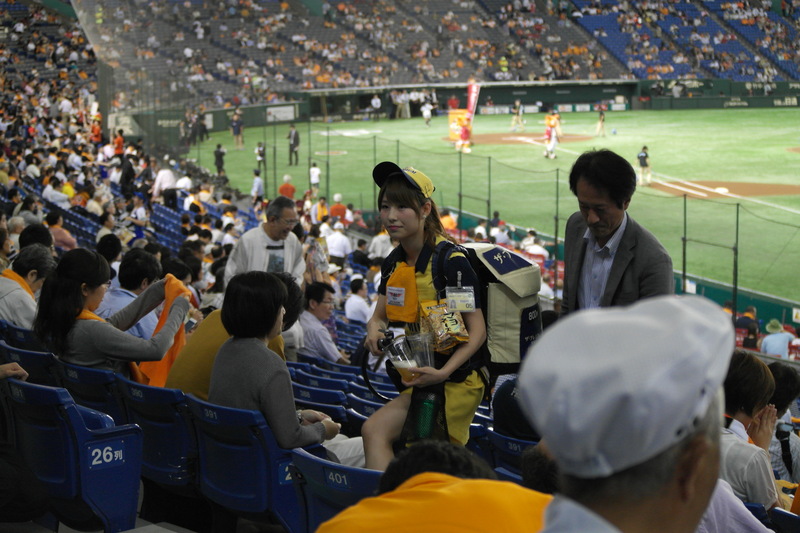 As a game might last for three hours and more, it becomes clear that the «beer girls» are not only entertaining, but also a necessity. There was always one of them around so you could get a new beer without leaving your seat. They kept it up throughout the duration of the game, at an impressive speed and high energy level. 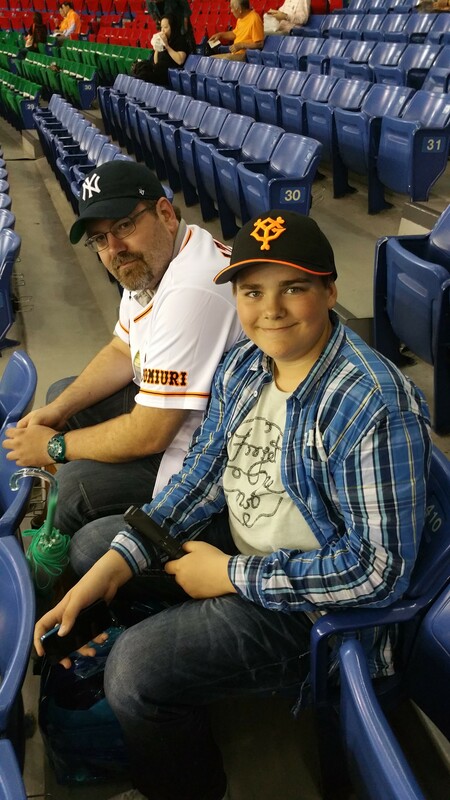 Both before the game and between innings, we were amply entertained by cheerleaders, mascots and games. 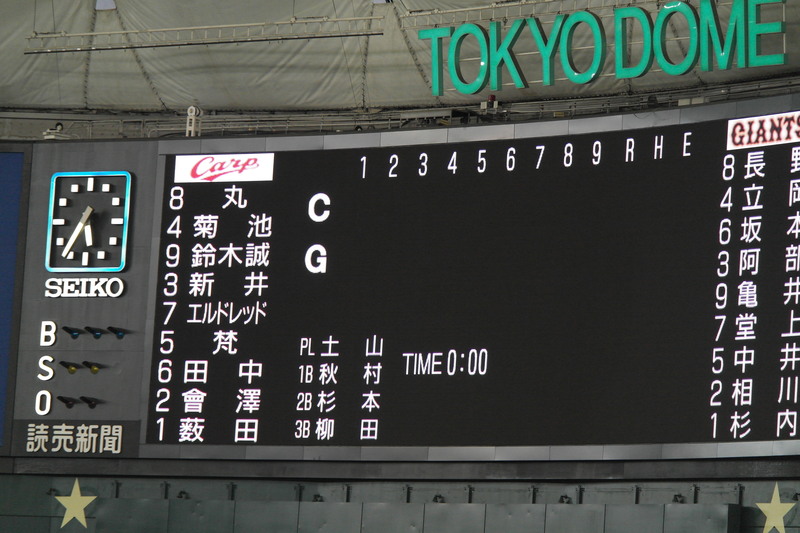 I am sorry to say that the Giants lost 10-2 to the Carps (confusing facts for the Europeans: In baseball they do the scores backwards. Visitors vs. Home team. As opposed to the logic, smart and reasonable way of doing it with the home team first and then the visitors. Remember this; it might come in handy at a pub quiz). Despite a formidable loss, this was fun! Here Batter Batter Batter Sawiiiing! More Tokyo much?-posts are coming up his week, next one from National Museum and some more shopping at Asakusa. 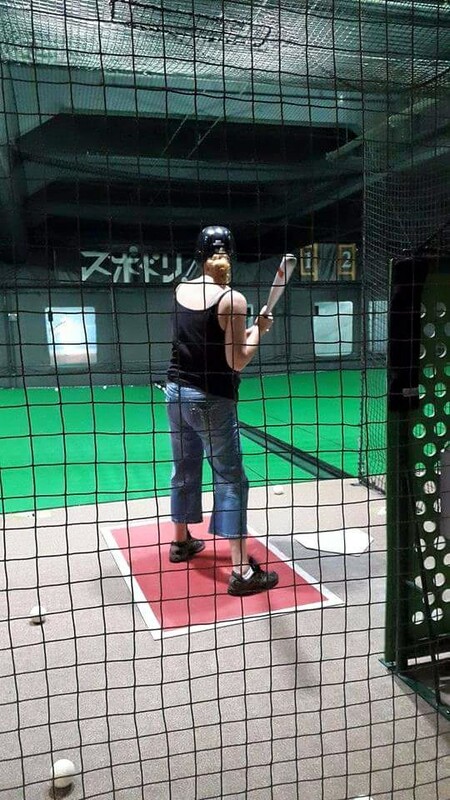 Those batting cages aren’t for sissies! Tried one once and it made my teeth rattle. LOL, it was a bit scary, yes. Of course we opted for the one with the slowest balls 🙂 Thank you for visiting and commenting! Happy Wednesday! Another interesting read about Japan. Where I come from its not a popular sport at all. In school we play a variety of it called softball or rounders. Roughly same concept with same equipment. Oh except theres no one behind the batter! Thanks for sharing! Same in Norway, it is played in schools ever so often, but is not considered a sport as such. But it was fun to catch a game, although I didn’t understand all that much of the game, despite Sir Nerdalots good explanations 🙂 Thanks for commenting! Happy Wednesday! Happy day to you too!! I actually did a lot of sports in school and the only one I still do not understand is cricket! HaHa explanations were wasted on me too. Pingback: Tokyo much? The National Museum and (more) shopping | Travel Much?